Brides-to-be lined up to sample scrumptious squares of moist, but tery wedding cake. Creative florists displayed extraordinary arrangements that defied the laws of gravity.Wedding planners erected spectacular displays of their unique decorations and colorful table arrangements. And giddy grooms-to-be anxiously gripped their raffle tickets, hoping for the chance to win one of several all-expense paid honeymoons. 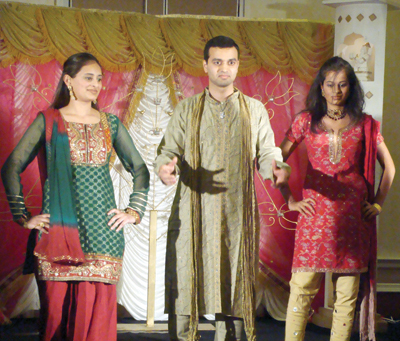 This was the scene at the first ever My Shadi Bridal Expo hosted by Desh Videsh. Quite pleased with the turnout, Raj Shah, co-publisher of Desh Videsh, and mastermind behind the expo, said, “I feel the event met both of its objectives. One, it provided soon-to-be-weds a place to get ideas for their dream weddings. And, two, it brought wedding industry vendors face-to-face with their potential customers.” He had many of the vendors inform him after the show that they were successful in getting several new clients. 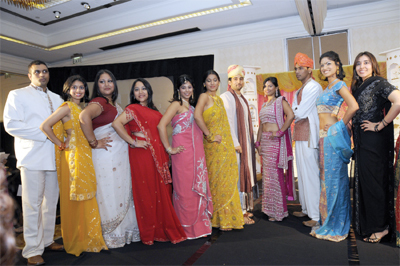 A vast array of wedding related products and services were represented during the six-hour expo. 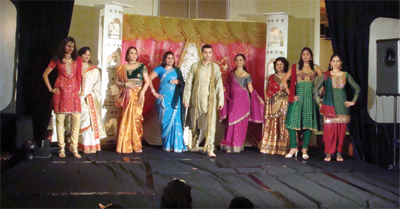 There were wedding planners and decorators; photographers and florists; venues and linen providers; caterers and cake artists; jewelers and clothing boutiques; and aestheticians and mehndi artists. There were even a travel agent, insurance agent, and lawyer on hand to help the newly engaged with honeymoon, estate planning,, and immigration concerns. Most vendors were local to South Florida, but some had traveled from Melbourne, Orlando, and as far away as New Jersey to be a part of this groundbreaking event. 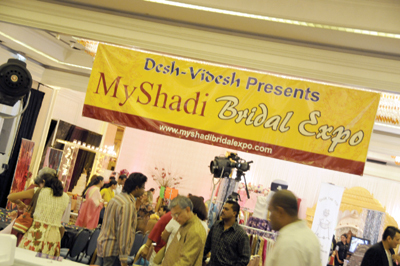 Most vendors chose to have theirs advertisements featured in the My Shadi Bridal Expo souvenir booklet that was given to every attendee. Apart from the complimentary gift bags filled with coupons and goodies that were given to every bride at the door, many brides took home prizes that were generously donated by several vendors. These raffled prizes included kurtis, photo albums, decorative purses, gift baskets, and several gift certificates for various services and products. 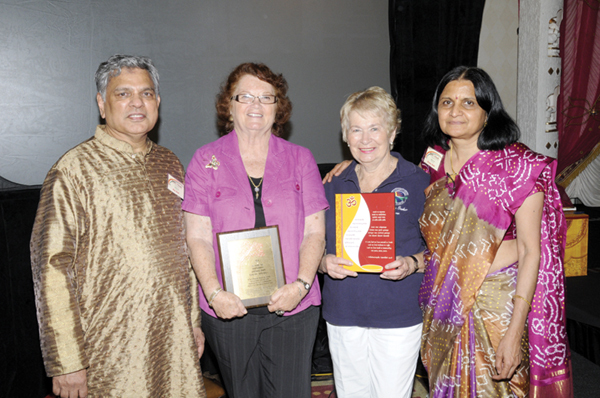 But the most vied for raffle prizes were the five honeymoon trips to the Bahamas that were provided by Desh Videsh. The event coordinators were honored to have Coconut Creek Mayor, Marilyn Gerber, and Coconut Creek City Commissioner, Mikkie Belvedere, preside over the event as chief guests.